This week we launch a special series – Lessons on the Links – where I talk with extraordinary leaders over a round of golf. 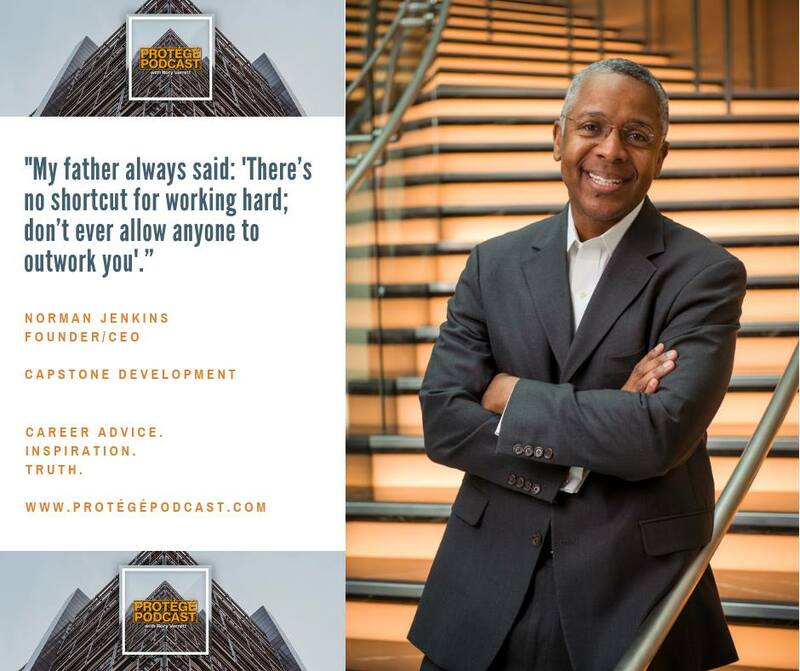 This week our Guest Mentor is Norman Jenkins, the CEO of Capstone Development, a real estate development company headquartered here in the DC area. Capstone Development owns and manages 30 Marriott and Hilton hotels across the country. Over a competitive round of golf at Norbeck Country Club, Norman and I discuss making the transition from corporate to entrepreneurship and the secret to successful mentor/protégé relationships. On the Rant/Rave/Review segment, I offer a reflection after a tragic week of domestic terrorism in the U.S. 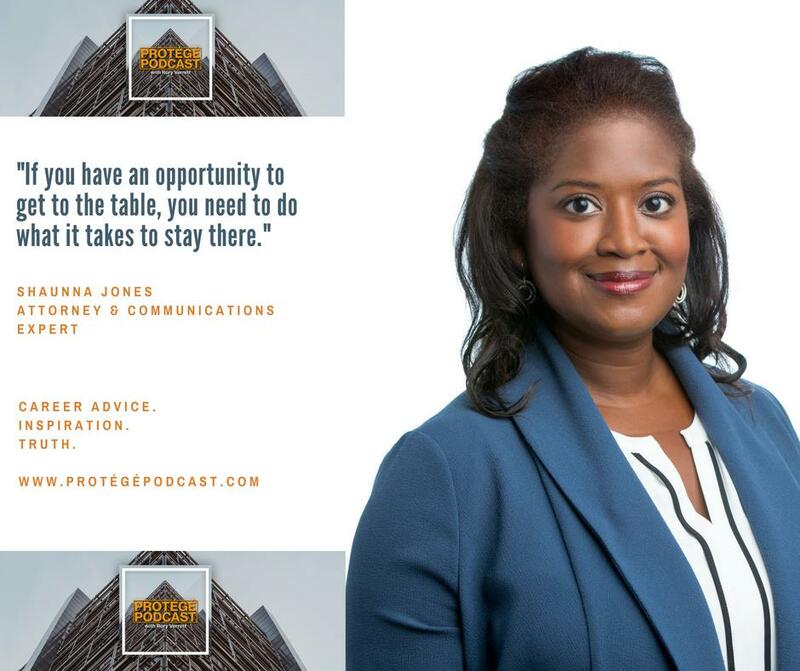 This week on Protégé Podcast, we have our third episode in our series “Side Hustle Success – The Remix,” and check in with superstar entrepreneur Chris-Tia Donaldson. Chris-Tia is the founder and CEO of Thank God It’s Natural, a hair care and beauty products company based in Chicago. She’s also an author, a Harvard grad (twice), and a breast cancer survivor. 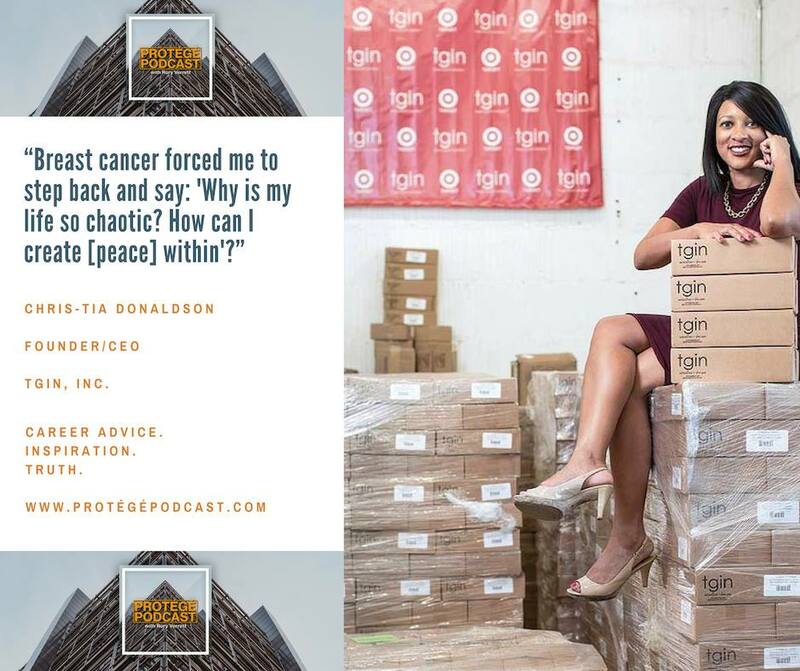 Chris-Tia breaks down how her status as both survivor and entrepreneur helped her overcome challenges in each situation, and why you don’t have to travel across the world to find peace and tranquility in your life. We also debut a new segment on the podcast – The Great Debates. This week’s Great Debate: what is the best Eddie Murphy movie of all time? Here’s a hint about my pick: the movie also has some seriously insightful career advice. This week on the podcast, we launch a series “Side Hustle Success (the Remix),” where we revisit some of the entrepreneurs we interviewed over two years ago. These are entrepreneurs who built successful businesses from their day jobs and share the lessons they’ve learned along the way. On today’s podcast, I check in with Marni Barron, president of education technology firm SoulTree, LLC. Marni talks about overcoming your fears as an entrepreneur, and how not to fall into the trap of a high consumption lifestyle. On the Rant/Rave/Review segment, I revisit Jim Collin’s book “Good to Great” and discuss why this business strategy book has important insights for our career strategy as well. 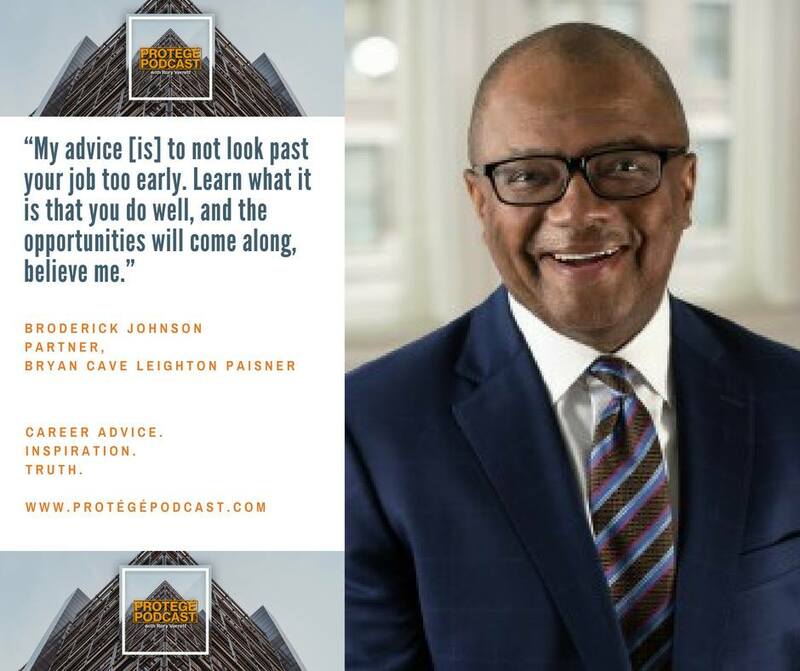 On the fourth episode in the Protégé Podcast series on Beltway Insiders, I talk with presidential advisor and attorney Broderick Johnson, partner at Bryan Cave Leighton Paisner, about his extraordinary career in Washington. Broderick advises young professionals to focus on the jobs they’re in before strategizing about future opportunities. The Chairman of the White House’s My Brother’s Keeper Task Force, Broderick also encourages public policy advocates to be flexible about career assignments and open-minded about mentor relationships. On the Rant/Rave/Review segment, I encourage men to be better allies in the movement to eliminate sexual assault. In our third episode in our series on Beltway Insiders, I talk with accomplished government affairs executive Nicole Venable. 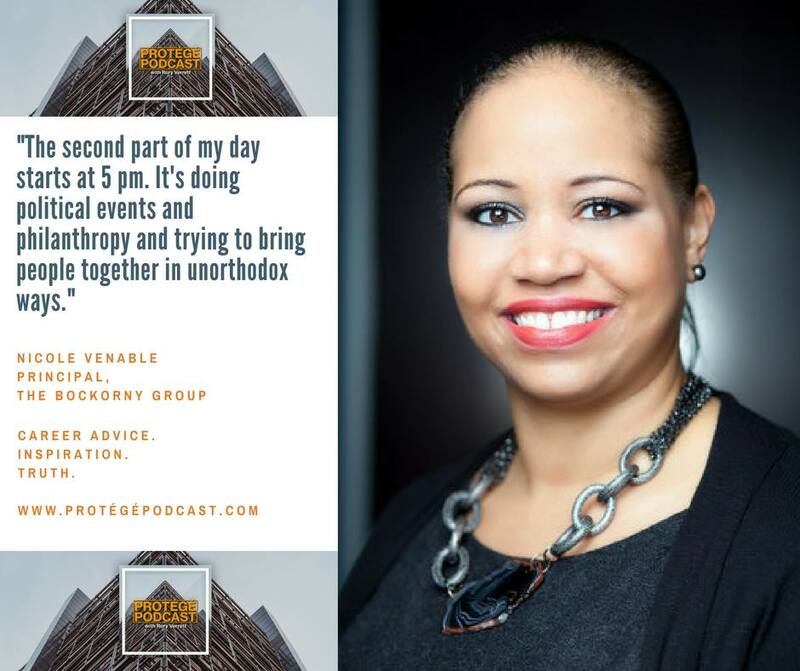 “The Lobbyist Lady” and I talk about surviving scandal, the benefits of bipartisanship, and the importance of social equity in your career. On the Rant/Rave/Review segment, I rave about the comeback of Tiger Woods. 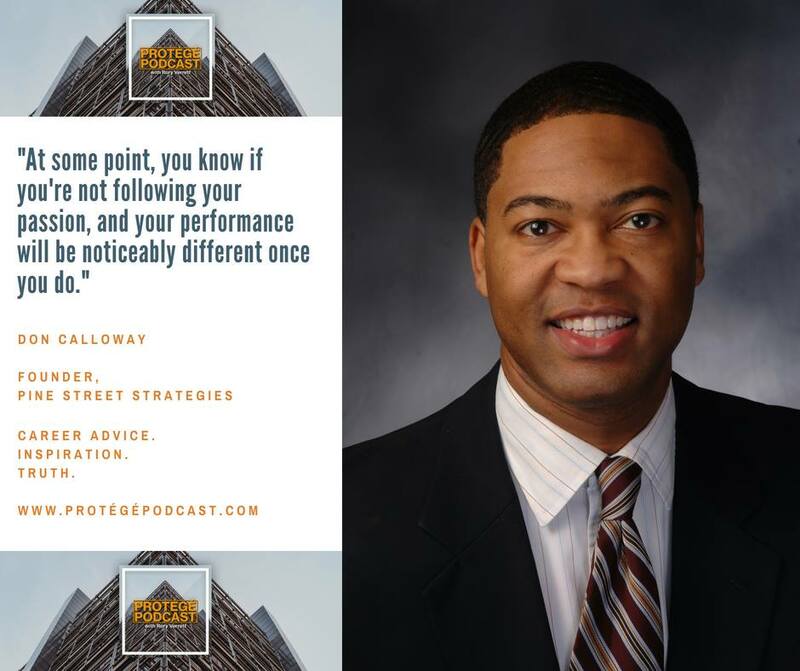 As part of our series on “Beltway Insiders,” I talk with Don Calloway, the founder of Pine Street Strategies, a leading DC public affairs firm. In addition to representing private sector clients on the Hill, Don and his colleagues have been the brains and groundwork behind some of the impressive young political talent emerging on the national stage. Don and I discuss the importance of having a true north in your career and the impact of a stable marriage on your professional life. On the Rant/Rave/Review segment, I rave about The St. James, a truly unique fitness and entertainment destination. This week on the podcast, we continue our series “Lessons from the Top” where we talk with C-suite executives about what it takes to succeed at the highest levels in complex organizations. 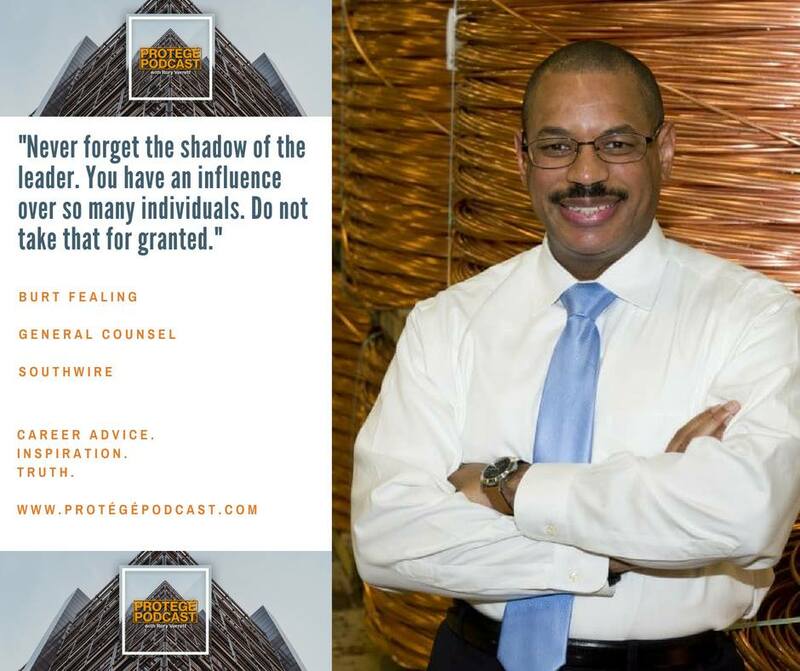 On this episode, we have a rich conversation with Burt Fealing, the general counsel at Southwire, about the evolution of the legal function, how to become a trusted advisor to your CEO, and the best practices for leading and inspiring your team. On the Rant/Rave/Review segment, I encourage all of us to exercise our basic civic obligations to enact positive social change. As a star athlete on Notre Dame’s national championship team, Rod had every intention of having a career in professional football. Then, as an attorney at Entergy Corporation, Rod had every intention of enjoying a purposeful, yet stable corporate career. 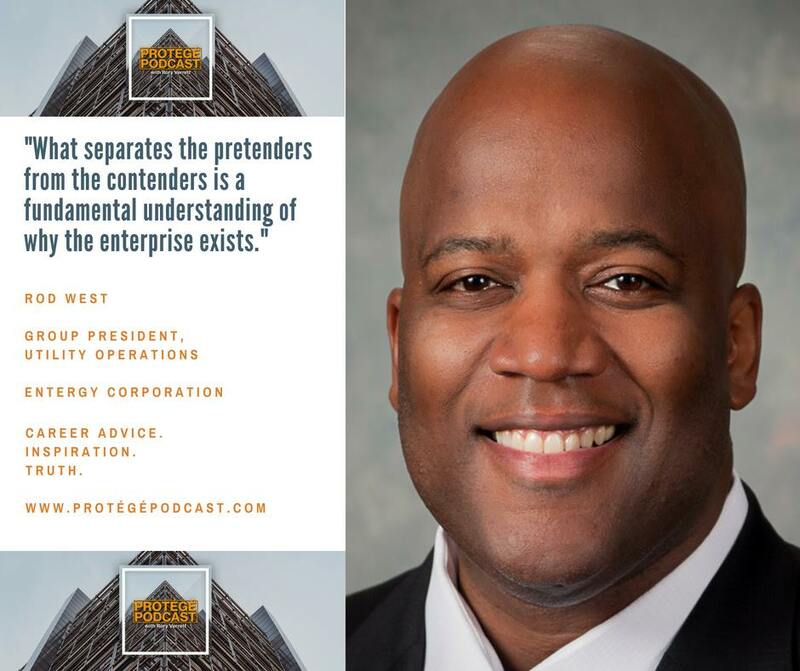 As the first episode in our Protégé Podcast series “Lessons from the Top,” I have an intense and reflective conversation with Rod West, Entergy Corporation’s Group President for Utility Operations. 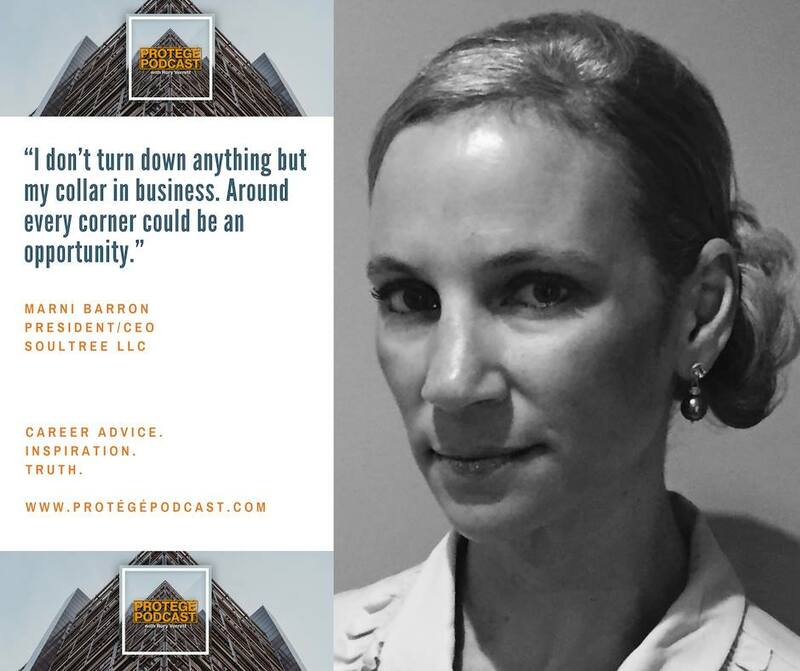 We talk about activating your contingency plans in the storms of life and career, what it means to truly add value at your company, and the importance of longevity in your career. We also bring back “The Breakdown” segment to analyze the leadership competencies Rod has exhibited in his dynamic career, and their importance for anyone looking to enter the C-suite. He’s been called the Vernon Jordan of our generation. David Sutphen’s network extends from Capitol Hill to Hollywood, from the Obama Administration to Silicon Valley, and from corporate board rooms to the civil rights establishment. 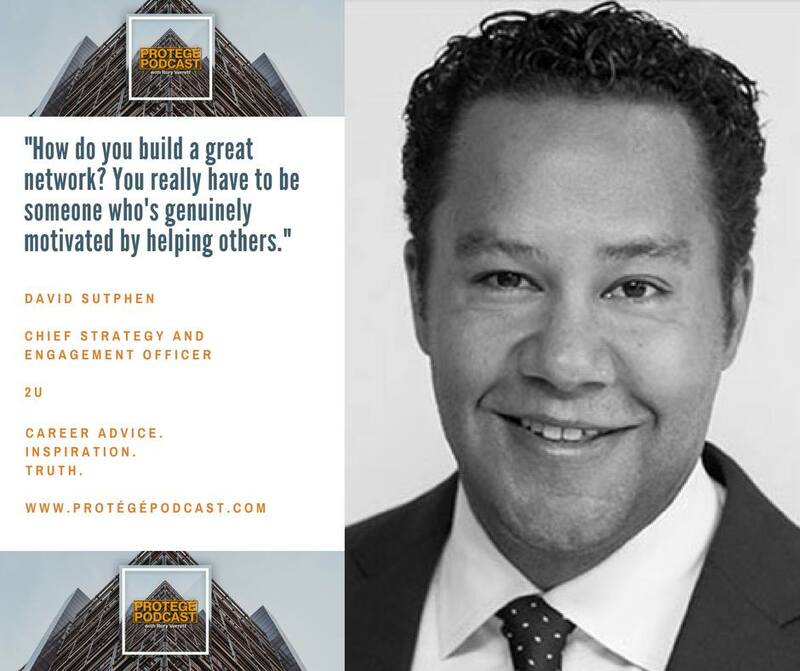 On this week’s Protégé Podcast, uber-networked technology executive David Sutphen discusses his nonlinear career path and the influential relationships he built along the way. His secrets: boundless generosity and the creative genius to see connections between people and opportunities that most people miss. On the Rant/Rave/Review segment, I discuss the Protégé Pipeline, exciting executive opportunities at our client partners.